The NBL is taking a break for the international window for World Cup qualifiers, and it provides a chance to reflect on what we’ve learned. 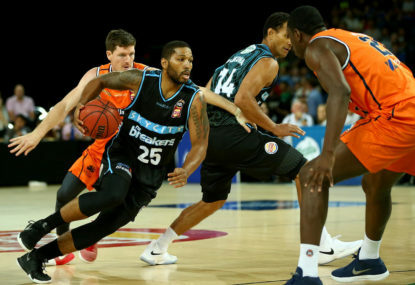 The easy answer is that either the New Zealand Breakers or Perth Wildcats will battle for this season’s championship. The two squads have split the past eight titles. There has not been a championship since the South Dragons’ victory in 2009 that hasn’t gone to Auckland or Perth. The last league crown won by a team that still exists went to the Brisbane Bullets in 2007. The last championship won by a team that still exists and hasn’t spent time in the wilderness was the Adelaide 36ers way back in 2002. For eight years, the rest of the league has been chasing the tails of the Breakers and Wildcats. Implementing a soft salary cap and increasing the imports allowed to three was expected to help stop that dominance. 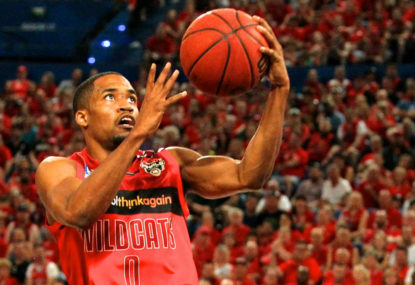 All it meant was Perth ended up striking gold midway through last season with Bryce Cotton and winning a second straight championship. 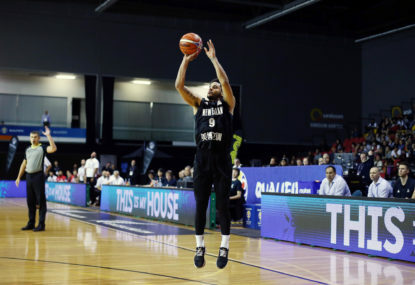 Now, after seven rounds of the 2017-18 season and more so than ever at any other point of the past eight years, the gap between the Wildcats, Breakers and the rest of the NBL is glaringly obvious. After Round 7, New Zealand has made its best ever start to a season with nine straight wins to be 9-1. Perth responded to two losses in Round 6 to the Breakers to score big road wins over Brisbane and Melbourne to improve to 7-3. The Breakers and Wildcats are the only two teams with winning records and significantly so with New Zealand eight games above .500 and Perth four above. Next best is Melbourne United. They are a fascinating case study in their own right, looking strong in the main against the rest of the league but appearing subpar against the Breakers and Wildcats. They sit 5-5 along with last season’s semi-final combatants the Adelaide 36ers and Illawarra Hawks. The Cairns Taipans (5-6) remain competitive while the Brisbane Bullets (3-6) and Sydney Kings (2-9) look to have no chance of contending for a playoff berth. As for why the Wildcats and Breakers are so dominant, it all starts at the top. The word it comes back to is ‘culture’. Both clubs set up winning cultures on and off the court before it actually delivered championships. Following some tough initial seasons, it began for the Breakers when Andrej Lemanis arrived as coach. Things finally came together in 2010-11 with Mika Vukona returning, CJ Bruton on board, Kirk Penney still there and Tom Abercrombie, Alex Pledger and Corey Webster ready to breakout. That is their core group. Then it was topped off with imports Kevin Braswell and Gary Wilkinson for that championship season. The imports might have changed as they won three championships the next four years and played in four of the next five grand finals, but Vukona, Pledger and Abercrombie were there for it all, and Penney has since returned. That core group keeps holding everyone to account, demands professionalism and simply refuses to lose games or championship opportunities. It’s not just the playing group. Ownership from Paul and Liz Blackwell and management previously led by Richard Clarke and now Dillon Boucher set the culture where winning is expected. But having strong character, community role models and good people is equally important. The results are obvious for the Breakers again this season. They are the only the team in the league with just two imports and Edgar Sosa and DJ Newbill are delivering. So are Vukona, Pledger, Abercrombie and Penney, while Shea Ili has developed into an emerging star. That’s what a strong culture does. It creates future stars from within while your team continues to win, and the core group of players is willing to stick around because you just don’t get that sort of environment everywhere you go. It’s very much the same at the Wildcats. They were starting to build something special under the guidance off-court of Nick Marvin with Dr Jack Bendat the owner. The team just needed some tweaking, and it all came together with the arrival of coach Rob Beveridge for the 2009-10 season. He brought Damian Martin with him and signed up Jesse Wagstaff, who has been there ever since. He added veterans Martin Cattalini and Galen Young for that initial season to a group already including Shawn Redhage, Brad Robbins and Stephen Weigh. Matt Knight and Greg Hire were two more stalwarts to soon come on board and the culture for sustained success was born. It started with owner Bendat and managing director Marvin, filtered down to Beveridge as the coach and went through his core group who are either still there or just recently retired in Martin, Wagstaff, Knight, Redhage and Hire. 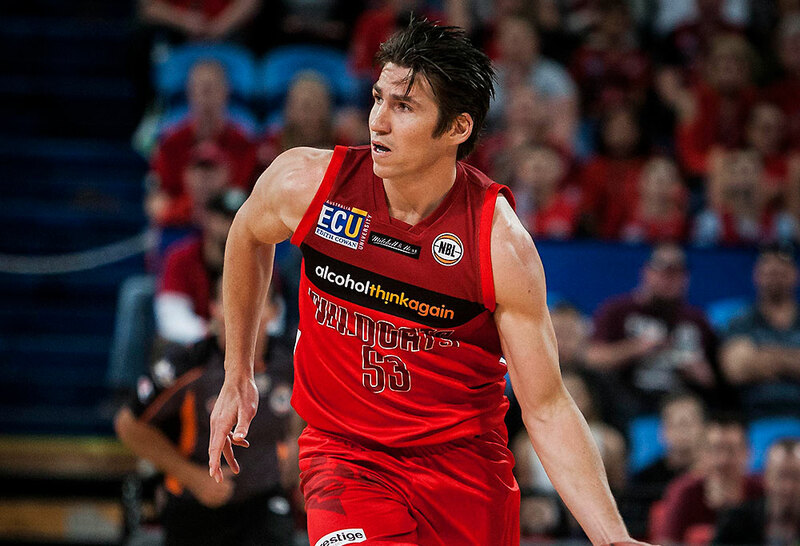 Trevor Gleeson came on board in 2013-14 after two grand final losses and did some fine tuning to win the championship and three of the past four titles. He proved the right man for the job, but the culture was already built and he just needed to maintain it and expand on it. 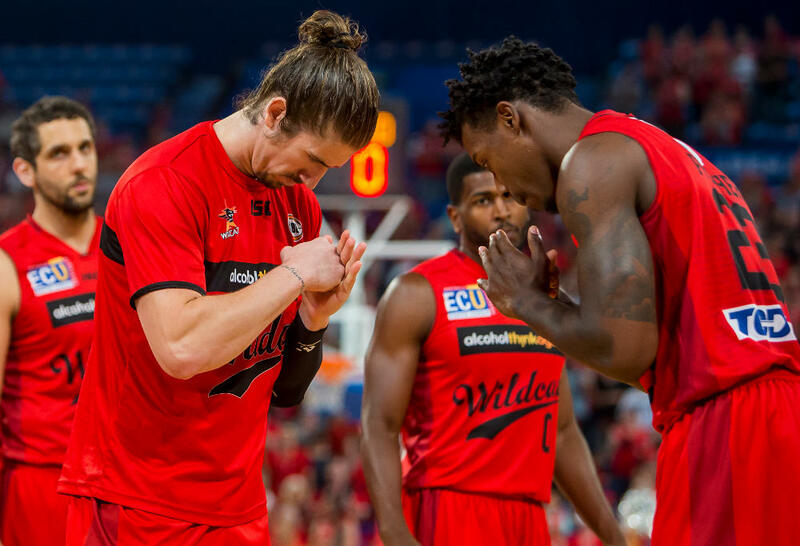 Imports James Ennis, Jermaine Beal, Casey Prather and Cotton have helped along the way, but that core group sets the remarkable culture at the Wildcats that was and still is key to their success. The Wildcats had some questions to answer after two losses to the Breakers. 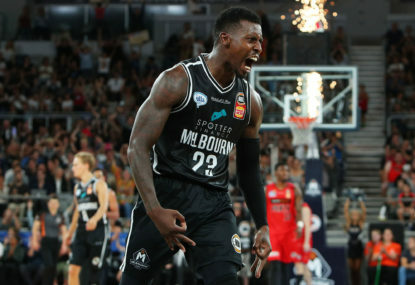 They did so emphatically with a solid win in Brisbane on Friday and then a demolition job on Sunday beating Melbourne United by 32 points at Hisense Arena. There appears no stopping the Breakers and Wildcats this season. 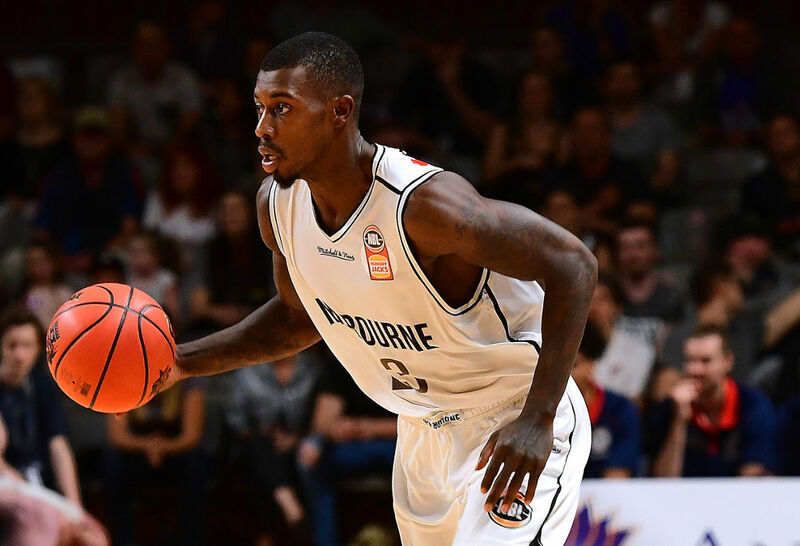 Talent-wise, Melbourne United still appears most likely but quite simply they can’t deliver against either team. They have won just one in the past 12 meetings combined against the two teams. Adelaide, Illawarra and Cairns have the fighting qualities and tenacity to take it right up to both teams. But whether they could do it for long enough to win a playoff series would be a massive ask. The Bullets just don’t appear to have enough pieces right now. They are short a big and are missing Cam Bairstow while Stephen Holt is offering precious little. An upgrade on Holt and a better run of injury might help, but Lemanis will have to pull something out of his hat with this Brisbane team. Then there are the Sydney Kings who are just being run in embarrassing fashion. They came into the season with the type of unbalanced squad no rookie general manager would consider. They ended up playing the incredibly out of position Perry Ellis at centre when he’s clearly a power forward, then went with a whole heap of combo guards made worse when Kevin Lisch went down adding Jeremy Kendle to Jason Cadee and Travis Leslie. The Kings have now got the roster they should have started the season with. They have a genuine point guard in reigning MVP Jerome Randle. They have a centre in Jeremy Tyler. But it’s too late. For this team to work, they needed to get things together over pre-season. Tyler looks incapable of adjusting quickly to the NBL and it’s going to take time for Randle to get used to his teammates and vice versa. They already have nine losses. Brad Newley and Todd Blanchfield look shells of their best and Tom Garlepp won’t be given a shot. 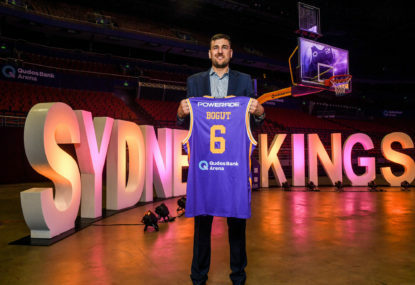 With Andrew Gaze looking out of his depth as coach and made to look far worse by management, the Kings won’t contend for the playoffs, let alone come close to the Wildcats or Breakers. It’s a toss of the coin between Perth and New Zealand right now, take your pick. But to suggest they won’t meet in the grand final means you see something I don’t right now. 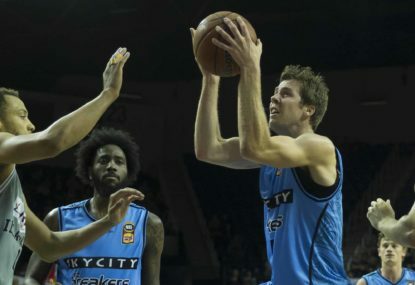 The constant lop-sided foul count against the New Zealand Breakers has been slammed by their rookie coach Kevin Braswell. Adelaide’s shocking travel schedule has caught up with them as they crumbled in a 20-point NBL loss to the New Zealand Breakers. Five NBL teams will embark on a tour of the United States of America, with a record seven NBLxNBA games set to be played. Here is The Roar‘s complete guide to the matches and how to watch them both online and on TV. Match result: Melbourne United are through to the NBL grand final series after beating the New Zealand Breakers by two points in overtime.